Had a brilliant time kayaking with Carol as a family of four earlier today. Really enjoyed the whole experience. The view from the river provides such a different perspective, an opportunity to slow life down, relax and notice life around you at a different pace. One of the best activities we do as a family. So pleased to find Enconter Cornwall - really professional,knowledgeable and we were really well looked after - don’t miss this out if in the area. We will definitely be back,thank you for a lovely time. Myself, my son and my mother-in-law took a 2 hour sundowner trip with Dave, our guide. The village of Golant is picturesque and an ideal place to begin. My son (9 years) had never kayaked and the two adults were hardly experts, but we were very comfortable and I thought we got the hang of things within a reasonable time. We couldn't have asked for better kayaking conditions - the temperature cooled as the evening progressed but we were never cold, the water was calm and our vessels were very forgiving! The wildlife on display was remarkable and I am sure many others have mentioned the many creatures they have encountered. However, as we had been in Charlestown days before and Wheal Martyn that morning, my son found the clay being loaded from freight train to enormous ship utterly fascinating! As I mentioned, this was my son's first time kayaking and I had corresponded about this trip being suitable for him with David. I needn't have worried - he loved every minute of it and David was very patient, answering all of his many questions! Mind you, if you do have a child with you, be prepared to get even wetter - more than once my son deposited an oarful of water into my lap! I didn't need any help getting wet, I was doing a good enough job of it myself! A week later and my son is still talking about this experience. I would highly recommend this - though please read the guide that is sent once you have booked because the advice - such as where to park and bringing a change of clothes - is absolutely invaluable. Just had a very enjoyable afternoon in a Canadian canoe on the river. Lots of wildlife to see and time to practice your J strokes. Great quality canoes of all types,very good advice from Dave and all the staff, with wonderful home made cakes in the in house cafe. The whole experience with Encounter Cornwall was nothing less than exceptional. We have done several sea kayaking trips over the years, but this was the first on an estuary. Given our previous experience getting dressed in drafty shacks, the Golant boatshed itself blew us away, with a superb cafe with lots on offer, (the woman running it was very welcoming with loads of advice), toilets, a changing room, and plenty of room to move about and lots of photos and information on previous trips etc. It’s obvious that they care passionately about the environment and encourage several eco-initiatives, without being preachy at all. Dave and the two other guides were fantastic at giving us plenty of info on the surroundings, loads of info about Fowey and the surrounding area that we didn’t know. It was just a lovely trip and a memory that has endured with this particular family, as we keep talking about it a couple of weeks later. Overall the trip down to Fowey and back was brilliant and Encounter Cornwall ensured that we loved every minute of it. Would highly recommend and we’ll definitely be back next year. We had a great 'creeks and backwater' guided tour on the Fowey river from Golant past the 'Wind in the Willows' creek to the picturesque village of Lerryn where the kids swam in the river and we enjoyed some yummy ice-cream. With great kayaking tips and information along the way from our wonderful guides. What an amazing day!! I would highly recommend this tour. We brought this experience for my brother in laws birthday and went as 3 adults 2 teenagers. Their was some nerves before we went as some of us hadn't canoed before. However we all thoroughly enjoyed it and would highly recommend it. The instructors made it really easy to understand techniques and were really welcoming. We stopped off along the way and relaxed for half an hour where a cafe had the best Cornish pasties( mine was chicken, mushroom and leek, and was amazing!!!!). Take a waterproof camera for those must have photos!! Having done the guided trip to Fowey last year while on holiday in the area, we were all keen to do the different trip up the river to Lerryn. This was another fabulous day- Karen and David were fantastic guides and the trip up the river was beautiful. We stopped in the lovely village of Lerryn for a break and on the way back were luck enough to spot a seal. Easy paddling there and back, beautiful scenery - very much recommend this company. Myself, my elderly dad and my three sons recently had a wonderful trip down the river Fowey with encounter Cornwall. What made it even more relaxing and enjoyable, was when we realised it wasn’t going to be suitable for our water and swan loving dogs ... rather then having to cancel trip or worry about them! The lovely owners and staff in cafe offered use of their crates for our dogs and took great care of them! First class service! And thank you. We (myself, wife and 2 kids age 12 and 9) spent a week in Golant and went on two guided trips, one down river to Fowey and one evening sundowner up river towards Lerryn. The first trip was a big group with 19 people and 4 guides including trip leader David. The pace was very gentle and inclusive which was great as there was a wide range of experience in the group (including myself and family who had very little kayak experience). David was engaging company and was full of interesting info about the history of the River Fowey, the current ecological situation and was keen to introduce to as much of the local wildlife as possible (including Dent the seagull and his girlfriend who shall henceforth be known as Grace). We weren't lucky enough to see the seal who lives in the river but I know that a couple of other trips spotted her during our week there. Time was allowed so we could spend 30 mins in Fowey, enough for a pasty and a drink. Paddling was easy as the trips are times to coincide with the tide so you're never paddling against it. The evening sundowner trip was really special as there was only our family and 2 other people. David again lead the trip and took us to some very special places to show us the best of the local wildlife. We must also mention Carole who runs the cafe in the and was our neighbour for the week as we stayed in the little cottage next door. She was a delight to have as a neighbour for the week and also serves the most delicous cakes and fabulous coffee. We're already looking forward to returning and can't recommend highly enough both the kayak tours and the cafe itself. I absolutely loved our trip out on the water. We had a two person canoe and joined a group of about 6 for a morning canoe trip down to the nearby village of Lerryn. It was so peaceful and relaxing, I loved every moment and would jump at the chance to go again! The six of us (2 adults and 4 kids) enjoyed a great paddle up the Fowey estuary with Dave and his team. Our youngest, 4 and 8, were safe and engaged and enjoyed it immensely. We had fish and chips in Fowey during the 25 min break and this gave us energy for the return journey. If we can do it so can you! Taking the sundowner kayak trip was a perfect end to the day for our extended family - 8 of us took to the water in a mix of double and single kayaks. It’s fair to say that we had a fun as well as educational visit down the River Fowey. A mix of novices and more experienced kayakers, we all got something out of the journey - including much improved rowing techniques by the end. The staff were fantastic in their support and commentary. Highly recommended for all ages and abilities and good value for money too - and no aches and pains the following day either !! We just loved this trip so much! Karen, our guide, took great care of our small group and led us upstream to Lerryn, a lovely little village. We encountered a little wildlife only, however, the trip was fabulous and we’d always come back! Had a birthday trip, first time for me, David gave great coaching and had a really wonderful adventure, I loved any minute of it, and if I can do it anyone can. Highly recommend.thank you for making my day. Admittedly we were blessed with perfect weather however with guides like David & Karen a wonderful experience is pretty much guaranteed. Fantastic outing which our 4 children already want to repeat, many thanks. Thank you to David and Karen for a wonderful afternoon kayaking up the river Fowey. My husband and I have done this trip before with our two children. We enjoyed it so much we thought we would do it again. It is such a beautiful setting and you made the whole trip even more Interesting with your commentary and paddling tips. This trip was a super activity for the whole family (with children aged 9 & 6). We arrived to a warm welcome from Karen and were soon kitted out and ready to get out in double kayaks. A laminated bird spotting sheet was a great idea to help the children spot and name the many birds we saw as we went along. Karen’s guiding was fantastic - informative, knowledgable and perfectly pitched for our abilities. We felt very well looked after and the trip was the highlight of our Easter holiday. We will definitely do this again on a future holiday to the area. Wow, what a lovely way to spend an Easter Bank holiday! Such a lovely way to explore the river and see Fowey from the river. David was very knowledgeable about kayaking and the local area. Thank you for a great trip and see you again in the future. Great trip! Would love to do it again with better weather! Although we had a lot of wind and rain we still had a great day and Dave was very friendly and helpful. Would definitely recommend! It was a wonderful way to spend the morning. One regret I have was the decision not to take my camera for fear of it falling in the water, I was totally blown away by how beautiful the scenery was from the kayak! From the kayak we were able to spot a variety of birds, all pointed out by our helpful guide, who was also incredibly patient with our poor kayak skills! Had a lovely trip down the river with Dave as our teacher and guide. Saw lots of wildlife but unfortunately Clint the seal was not in attendance. Dave had a real eye for spotting birds we had missed and being patient with our inexperienced kayaking attempts. Would thoroughly recommend and would take a tour again when we are next in Fowey just for sheer enjoyment. Great tuition and lots of fun. Well looked after by Karen and Dave. A must if you are visiting the area. This is a must do trip to explore the Fowey river estuary. David and Karen are experienced, knowledgeable and passionate about the river and surrounding area. You could not be in better hands especially if it's your first time! A wonderful experience and we will be back again for sure!! Thank you once again..
Six Ladies from Dorset negotiated the diversion along narrow Cornish roads thanks to Karen's directions and made it (almost on time) to our afternoon Kayak trip. It was wonderful, perfect pace, a little bit of instruction (to minimise our zig zag technique!) and some interesting history and local snippets from Dave. We saw many types of birds and some jumping fish, and the beer and pastie in the Ship Inn at Lerryn refuelled us for our serene kayak back to base. Myself, husband and son joined the group to depart at 2.30 on a rather windy/wet day. Karen and Dave were very welcoming and enthusiastic despite the less than favourable conditions. At times the going did get tough due to the wind but at no point did we feel unsafe. A welcome rest for coffee/ice cream in Fowey and then back, by which time our technique had improved and we felt a sense of achievement given the weather. Once back Karen soon got the kettle boiling and handed out towels - very much appreciated. Another plus was the cake Karen kindly sent people home with. THE best coffee and walnut cake I've ever tasted. I would definitely recommend this experience and next time we'll try the other tours on offer. We went on the 2hr evening sundowner trip. The kayaks were very stable, instructors where fantastic, very knowledgable and the views amazing. Lots of fun and will definitely go again. Lovely trip down the Fowey tidal estuary! The staff were really friendly and laid back. We did the 4 hour hire without a guide. They gave us a map and gave us lots of suggestions about things to do. We stopped and had a coffee at the end in the boat house which was also very nice. A good place to wait if you've got friends who don't want to join in with the kayaking! Fab trip up to Lerryn and back with Steve and Will guiding us. We went at a gentle pace with several pauses at small beaches. Good cakes at the shop at Lerryn at half time. Our 9 and 7 year old enjoyed the paddling although the 9 year old was not happy with my steering! Something I wanted to try Kayaking From the first off we were made to feel welcome by the staff there. We were given instructions before getting into any kayaks and although helpful it was also gratifying to know that there were 3 experienced instructors going with the group just in case there was any trouble. It was about an hour out with a 30min break then hour back again. The only issue which isn't the Encounter Cornwall fault is parking as it is a small area and parking is a bit scarce and awkward to find a spot. A must do activity suitable for all the family Be aware that in high season you are advised to book in advance as this activity is very popular. The staff we met on our tour, Dave, Steve and Will were all very knowledgeable and the ladies on land were equally as nice. We opted for a 3 hour guided trip down to Fowey and back and although we encountered a bit a rain it didn't matter as it was a well run and relaxing trip. We went on our first kayaking trip yesterday and had a great time. The route combined with the variable weather conditions was pretty gruelling at times, especially for a beginner in a double kayak with an 11-year-old but we saw some wonderful views of the river and stopped off for a cream tea in Lerryn, which was wonderful. Would definitely recommend. First time kayaking Both myself and my partner kayaked for the first time with encounter cornwall. We were both absolutely terrified to begin with. All the host's were lovely. Despite the initial disagreements between myself and my partner (I blamed him for us not doing well, and he blamed me) we eventually got the hang of it and really enjoyed ourselves. Everyone on the tour was lovely, and made us feel at ease. We enjoyed it so much that we want to do it again, closer to home and whenever the opportunity arises. The views from the kayak were beautiful. Our family of four thoroughly enjoyed our three hour kayaking down the river. Karen, Steve and John were friendly, knowledgeable guides, the scenery was stunning and everyone got the 'hang' of kayaking and steering(!?) quite quickly. Would highly recommend. The cake and tea afterwards in the boathouse was delicious! We hired a holiday cottage in Golant as we had been invited to a family wedding nearby. Once there we noticed a steady stream of traffic to the Kayak Centre and heard terrific reviews from other holiday makers of how much fun it was. With some trepidation I booked the Sundowner Trip for my son, husband & myself and explained we were total novices who had never kayaked in our lives before. Our kayak trip was an excellent experience. Due to his age (9) my son went in a kayak with staff member Tom. My husband and I were in another kayak. It took us a little time to get into our rhythm but once we did it was captivating and a wonderful way to see such a beautiful area. Karen and Dave were very patient with us and very knowledgeable about the area. My son had an absolute blast with Tom & said it was the best thing he had done all holiday. I would definitely recommend travelling to Golant and having a go at kayaking. Afterwards pop into The Fisherman’s Arms, a lovely pub nearby, for a spot to eat or just to relax and enjoy the view. Encounter Cornwall deliver the kind of customer service that is very rare in outdoor sports these days. To them you are not another nameless group but a group of adventurers who deserve their support and care. They were interesting people and so free with their time. They couldn't have done enough for our group. The estuary is simply stunning. The children were in awe of the wildlife, we felt like we were on a water Safari. The Tregothan Tea back at base was the best cuppa I think I've ever had and the Cornish cake with yarg and honey - oh my! So so good. True Ambassadors for the Cornish Tourist industry. Thankyou. I booked on line after first speaking by telephone to Karen as we were taking our dog on holiday. Karen was wonfull, friendly and helpful and said our dog could come along in the kayak with us...perfect! Karen also advised me to book earlier in the week of our holiday as if the weather was bad on our chosen day they would let us swap to later in the week...very good advice and service! On the day we were warmly greeted by Karen and David and the lady who runs the cafe and the young man helping on the kayaks. Good safety briefing, and excellent attention to everybody whether experienced sailors or complete novices like me! I was petrified of capsizing but Karen was very reassuring. We sailed up stream to the pretty village of Lerryn stopping for lunch there (not included in price of the trip), the local shop sold pies, corniche pasties, toasties, sandwiches and homemade cake which were delicious! Karen and David chatted to all of us along the way and we stopped at a few places of interest where they gave us information about the area. Both Karen and David were very knowledgeable and I felt in very safe hands. Dog and son throughly enjoyed it too. I would highly recommend this trip to anyone staying in the area, even water shy folk like me! Excellent day out. We initially booked the kayak hire however because I hadn't kayaked before I was really nervous. The tour was a birthday present however we decided last minute to book the tour and so glad we did. Karen and David were both really friendly and gave really great tips at the start. David told some really good and interesting story's and they both gave us great confidence. We will definitely be back to do another tour. Gave us a modified shorter trip for a birthday party group. Relaxed owners/guides who let us get on with it. Really interesting conversation and knowledgable when asked about things without being pushy. would highly recommend to take family/friends for a nice morning/afternoon out. We took our 10 year old along with a group of 30 somethings and she loved it too. Would definitely be fine for less active people and younger children as it's not too strenuous and in double kayaks you can have a weaker paddler with a stronger one. My wife and I enjoyed a fabulous kayak outing with Encounter Cornwall in late April at the beginning of a lengthy trip to England and Portugal. We are finally back home and settled in, so I am getting to some overdue reviews. Our kayak trip with David and Karen of Encounter Cornwall was excellent. I had booked our trip weeks in advance, but when we finally got to Golant, the forecast for our booked day was heavy rain. David and Karen kindly allowed us to switch our booking to a day earlier when the weather was quite windy, but at least mostly dry. We did a Sundowner Paddle that took us up the estuary toward Lerryn. Everything about the tour was very professional and enjoyable. Although we have done quite a bit of flat water kayaking here in the States, there was a family along on the tour that had never been in kayaks before. David and Karen did a very good job of introducing them to the equipment and demonstrating how to use it--making the father, mother and young son comfortable about going out on the water. The tour itself was very pleasant. As you glide up the estuary, David shares a great deal about both the natural environment you see and the history of the area. We love kayaking because you sit so close to the water as you glide along that you get a very different perspective of a waterway or body of water. So we appreciated the opportunity to experience the Fowey Estuary in that way. The experience was enhanced by the opportunity to meet Karen and David, who are knowledgeable, professional, and enthusiastic in providing these tours, as well as being charming and friendly. In addition to the kayaking, don't miss the opportunity for delicious coffee, tea, and cakes at the Kayak Cafe, operated in the Encounter Cornwall boathouse before or after your trip. If you're in the Fowey area, we recommend making the short drive to Golant (itself a charming small village) for a kayak tour with Encounter Cornwall. I, (very inexperienced watersports mum), with two activity hungry teenagers (16 & 13), joined Dave and Karen of Encounter Cornwall, for a fabulous guided tour of the Fowey estuary. All safety equipment was provided, and clear "how to kayak" instructions given prior to our setting off on the water. We were part of a group,12 in total, of mixed ages and abilities. I was definitely the slowest and worst in steering/paddling my shared 2 person kayak, (much to the frustration of my kids), but Dave and Karen were on hand to provide helpful tips whilst on the water and gave lots of encouragement. Dave was knowledgeable about the flora/fauna round the estuary as well as the history of the area, and we had the opportunity to stop at several little coves to get insights to this beautiful place. We had a 30 minute loo/watering/refueling stop in Lerryn, which was welcomed by all. Unfortunately the forecast for thundery rain held true, and we finished our journey rather wet; but for me, it just gave this already wonderful experience another dimension. I look forward to returning. Thank you for an amazing experience - it was so peaceful and beautiful paddling on the river. It was great to do an activity for all the family together and the leaders were very knowledgeable and helpful, especially Karen who was very kind and helpful for me with my physical needs, never making me feel like it was too much bother and helping me feel included in the group. Thanks again and we'll be back when we're nearby! This is an excellent introduction to kayaking. My children, aged 12 & 10, had not been on a kayak before. Karen & David were very friendly, informative and encouraging. The trip was well safe and organised and yet felt relaxed. We kayaked for a couple of hours but because we were going with the tide it was not at all difficult. The scenery was lovely and the children liked stopping in Fowey for a pasty, I would recommend this to any families looking to try something a little different. A great afternoon on the water, with expert guides. 3 guides for our group ensured we were all safe and well looked after (with paddling tips as well as wildlife and local history info). A quick warm up paddle, followed by a longer session to Fowey (time for a snack and wander) then back up the river to Golant. A must is the homemade cakes and tea/coffee available back at base when safely back on dry land. We saw herons, egrets, cormorants, oyster beds, as well as a close encounter with Serena the local seal! Finished the day with a huge smile on my face - was a highlight of our holiday. Wonderful family trip out with Encounter Cornwall. David was very knowledgeable and all three guides took great care of us and taught us a lot to improve our paddling. To make a great trip perfect Serena the local seal came up and showed off for us. Just amazing. And the tea and cake in their new cafe was just what we needed when we got back tired, happy and hungry. Thank you Encounter Cornwall. We had a fantastic afternoon out on the water with Encounter. Nothing was too much trouble, all the guides worked hard to ensure everyone was safe and comfortable, they even cater for lefthanded paddlers. We had a paddle down to Fowey, time for a pint and snack, then back to Golant. We passed oysters, mussel beds, egrets, herons, oyster catchers, and then rewarded by a visit from Serena the local harbour seal. This was the highlight of the holiday for the kids. Mine was the homemade cakes in the tea rooms when we got back to base. I wish I had spotted that they do a cream tea picnic to take with you on the canoe trip. Highly recommend this adventure. Enjoyed a brilliant morning kayaking up the river to Lerryn. Thank you David for putting us at ease (it was my first time kayaking ) we all really enjoyed the experience and look forward to venturing out on the river again soon. We had a fantastic day kayaking with Dave last week. Dave is a true gent and is a great teacher. All of the family felt safe on the water and we all enjoyed a superb family trip, with all of us enjoying both the kayaking and Dave's commentary on points of interest and wildlife along the way. This was one of the highlights of our holiday which I highly recommend. Thanks!!! I booked this trip for my husbands Birthday and it did not disappoint, in fact it exceeded our expectations. David is so knowledgeable about the local area and wildlife which added another level to the trip. We were lucky enough to see many Kingfishers amongst lots of other birdlife, and were fortunate with the weather which created a stunning and enjoyable trip. Simply Stunning, totally magical , we went from Golant to Fowey and across to Polruan and back down. We didnt want the experience to end. It was a slice of heaven , we would highly recommend this trip, thank you David and Karen. Family trip to Cornwall over New Year, and a morning paddle on the estuary with David and Karen was one of the highlights. Good quality equipment and obviously experienced folks inspire complete confidence. David is also a great guide, pointing out places of interest and bits of local history, as well as spotting bird like - lots of oyster catchers and a show-off kingfisher on our way down to Fowey Harbour. We stopped for coffee and cake then caught the turn of the tide for the paddle back upstream. Just by chance we noticed a leaflet on the reception desk at the caravan park for Encounter Cornwall whilst on holiday, as a couple in our mid 50's my wife was slightly apprehensive but after a quick phone call to a lovely lady who explained everything we booked for a couple of days later. What a great 3 hours on the river, all the kayaks and equipment are in top condition and after a quick briefing and instructions we were off, we did the trip up the river as a group which is done at your own pace and help if you require it. We stopped for a refreshment break half way then made our way back, the whole experience was very friendly and relaxed in beautiful surroundings and we always felt very safe. The only downside was that we did this on the last day of our holiday, if we had done it earlier in the week we would have definitely been back. I would certainly recommend anyone whatever age to have a go, we will certainly be back if in the area. Did the three hour double kayak trip and loved every minute of it. It was my first time kayaking and David (co-owner) was ever so helpful and patient with my rudimentary skills on the estuary. We saw lots of lovely birds (including the elusive Kingfisher) and a few buildings of historical interests and wound up at the serene village of Lerrin for a hot cup of tea and a sumptuous brownie. Having travelled the world, it was great to pick up nuggets of wisdom and information from David and I cannot recommend Encounter Cornwall enough. Thanks to both Karen and David for making it a memorable Friday morning. 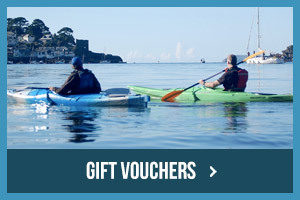 Having been several times before, with my Fiancee, I took my mum kayaking on the Fowey River. An excellent days throughout. Extremely pleasurable trip, David is a great instructor/guide and his knowledge is second to none. Many thanks for a lovely guided tour on the river Fowey last night. David and Karen's knowledge and passion about their local environment was an inspiration. I would thoroughly recommend the Sundowner tour together a slice of cake afterwards. A kayak tour with Ecounter Cornwall was easy to book online, despite being quite last minute, and easy to find, thanks to the clear directions on the website. Found down in the quiet village of Golant, on the Fowey River, the Boatshed was an excellent base from which to start our afternoon on the river. A friendly welcome from our tour guide David, reassured us that we had made the right choice of afternoon activity, and we also had time to sample refreshments in the welcoming cafe. Both David and his partner Karen were helpful and informative for the duration of the trip, guiding us expertly along the river, to Fowey Harbour. The three hour tour passed very pleasantly and quickly, and was quite relaxing too. The river was tranquil and even the busier harbour wasn't stressful to navigate, under the direction of our tour guides. We found the tour suitable for all ages, experience and abilities. We took out a double kayak and paddled up stream to St Winnow where you can get the BEST cream tea in the world (except Mondays) . We saw whimbrels, a kingfisher and a snowy white egret. Beautiful! Thoroughly recommend this lovely friendly company. I would highly recommend booking a kyacking trip.Karen David and Tom are very experienced.I am not the most confident on water but Karen put me at ease and I really enjoyed it,very special to see the lovely area from the water.Great treat to end up at the lovely boathouse after the trip having tea and amazing cake.Great value for money,such nice people. Had a great trip with Karen,David and Tom yesterday.I'm not the most confident on the water but Karen put me at ease and I really enjoyed it. Tea and cake at the end of the trip was a real treat,served by a lovely lady and I believe Karen bake's the amazing cakes. I would highly recommend booking a trip whatever your age or ability just give it a go! Thank you very much david and katen for making as feel so welcome on your kayak business....you are both lovely and warm natured people and we would highly recommend people booking up with you 100%.....we really enjoyed and your stories you told us. Your kayak shed is also great and great decor and toikets etc....Thanks again and have a great summer. Cakes, coffee and Paddleboards, what more do you want? After enjoying a lovely piece lemon yogurt cake, and a cup of Cornish coffee with the lovely Carol in the Cafe Kayak, I opted to hire a Paddleboard, to see what the river had to offer. It was such a beautiful evening, the sun was shining and the river was like a mirror! The tide was coming in so I opted to go up river with the tide. The birds were out in their hundreds, and put on a fabulous show, skimming the top of the water and dodging the trees. It felt so special being one of the only people on the river, like my own personal performance! The Fowey river is so special, a really must visit for holiday makers and even locals looking for a special treat. If Paddleboarding isn't your thing then you can go on kayaking trips with Karen and Dave which is next on my list. Thank you so much Encounter Cornwall! We hired two kayaks a couple of hours before low water, and paddled to Fowey and back. A few things struck me about Encounter Cornwall - their prices were really good, the equipment was good, the service was friendly and knowledgeable and my wife informs me the coffee and cake was really good! Golant is a lovely setting which is near to but much more relaxed than Fowey, this is a great way to experience Fowey if you have 45 minutes each way for the relaxed paddle. Highly recommend. Excellent! We were a novice group. Great balance of being given freedom to discover how to handle kayak but also help/advice close to hand if required. Had such a fun afternoon and Karen, David and the helping hand (sorry cant remember his name)were so friendly and 'get-at-able'. Would certainly recommend to anyone! And we had a lovely view of the seal too! Thank you so much. We all had a fabulous time. The boathouse was easy to find, cafe is great with a nice variety of cake and coffee. The staff are exceptional and can't do enough to be supportive, experienced and attentive. The whole experience will be with us for life it was truly an exceptional day. 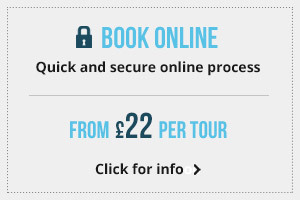 Good value for money and can't wait to try another tour. Many thanks to Karen and Dave for a wonderful trip on the river. Karen did her best to find elusive wildlife for photos - left me doing the paddling! Coffee shop also great - I spent many a happy hour with coffee (and cake! ), a book and good conversation with Carol. Did a 'Creeks & Backwater' kayaking trip on Thursday, with our daughters aged 8 and 6. Youngest daughter had never kayaked before and I am not at all confident on the water - so my husband shared a kayak with youngest and my 8 year old looked after me!! Encounter Cornwall provided a fab experience for us all, kayaking on the Fowey and Lerryn rivers, with a briefing on technique and stopping off at points with history of the area. My initial anxiety was soon calmed and we had a fantastic family experience. Myself and my family were fortunate enough to take two trips out from Golant thanks to Encounter Cornwall. There are some spectacular, and sometimes magical spots in and around the river fowey and it was great to get out for a few hours. Thanks to recommendations, we popped into St Winnow to test Agnes' burgers from her van (up the hill behind the church). What a treat! We saw an array of wildlife and birds. We highly recommend anyone who is staying in, or near to Golant to take up the chance to head out onto the water with these guys. Also, if you're confident enough, then hire a kayak for a few hours. Thanks again! 4 of us (2 adults and 2 children aged 11 and 8) did the harbours and beaches 3 hour guided trip this morning with Dave and Karen and would thoroughly recommend it. The weather was glorious, the setting beautiful and the leisurely paddle down the river and back was enjoyed by all. The stop off in Fowey for refreshment was perfectly timed and let us stretch our legs and eat cake mid paddle. Our small 8 year old managed really well and both kids can't wait to get back on the water.Thanks so much! Really enjoyed this! Our party was a family of 6 and everyone from the youngest to the eldest had a great time. After a brief tutorial by Dave we paired off into the boats. The weather was fantastic and Karen took the lead guiding us close to the shore past local sights and points of interest. We stopped in Fowey for a rest and a bite to eat before making the return journey. Both Dave & Karen are very friendly and laid back, whilst obviously taking great care to ensure everyone's welfare and safety. Dave even lent us £2 for the parking as we had no change. A great experience and highly recommended! David and Karen are lovely people who operate from a wonderfully relaxing boat house where you can have coffee and cakes with Carole prior to setting off on a trip up to Lerryn. David's educational commentary along the way of visits from Garibaldi, Edward VII's boat house, lost villages and other local tales is quite fascinating. Apart from that, the views are amazing and the river quite beautiful. We took 6 young adults with us who raved about the trip all night, also enjoying the half way stop at Lerryn where we had drinks and snacks at a fab pub, The Ship Inn. Other families had some really young ones who chirped away obviously having a good time too, This is a must do trip for any family. It's easy, relaxing and very rewarding. Conor, and Lesley. A massive thank you to David for an amazing experience paddling around this Sunday! We both had a great time, got to see some amazing wildlife and hear all about the local area. David was the perfect guide - thanks! A big thanks to David for a wonderful afternoon kayaking along the River Fowey. Even though it rained hard the return trip was wonderful and my two children (11 & 8) had a great time. Managed to get within a few feet of a magnificent Kingfisher. Highly recommended and will be back. Excellent! Had two trips with David and then hired for two on our own. Very friendly, relaxed and informative organised trips which really gave us the bug to get out on the water again; couldn't have been any better. An absolute must when visiting Cornwall. We loved every second and loved seeing this part of Cornwall by kayak. Definitely we will be back. Hi there, I just wanted to thank you for a lovely evening trip that my grandson and I took last Thursday. The amount of wildlife we saw was amazing and of course seeing the seal was the highlight. Ollie has told anyone and everyone that he paddled round the World!! We might never come to your part of the world again but the memories will stay with us for a long time. I will endeavour to tell friends and family to pay you a visit if they are down your way. We are paddling around our stomping ground of Poole Harbour this weekend, we wish you all the best for the future. Kind regards, Bob Steel and Ollie Shelley. Loved every minute of it. Definately the highlight of our week....and thankyou for accomodating our parrot in the boathouse too! We'll be back next year. I've never kayaked before but after a wonderfully fun afternoon spent with Encounter Cornwall I think I'm addicted! Our party consisted of two 13 year old girls with limited kayaking experience,, and a forty something Mum.,,and we were all grinning ear to ear. The experienced guides took us through all the basics and off we went,,, they were very friendly and welcoming and we felt safe at all times,,, going value too at a total of £58 for 3 hours for all three of us. Would I recommend??? Definitely!! I was slightly trepidatious about this excursion (understatement) but David and Karen were totally cool and really talked U.S. through the technical aspect as well as being super friendly both on land and on the river. We returned bosses of the water and it was a credit to their guidance. The trip it self is beautiful and dreamy! Go with encounter, they'll look after you propa!!!! My 6 year old daughter was insistent we went kayaking though we were a bit apprehensive. But Dave & Karen made us very welcome and put us at ease, even lending us all waterproof trousers. This is a fantastic way to see a part of Cornwall that you just couldn't see any other way, we even saw a seal bobbing about in the estuary. The kayaking is fairly easy though we were tiring a bit on the way back, and a real sense of achievement at the end. Both kids, 6 & 9, enjoyed it and were able to have a go themselves. Me and my 8 year old kayaked for the first time yesterday and the whole experience was awesome. Dave was a brilliant and friendly instructor/guide, and the route we took was beautiful and fascinating. We'll definitely be back again very soon. Thank you. Fantastic day ! Karen & Dave very friendly! Great Quick lesson before going out on the beautiful river. Lots of families of all ages on our trip. The stop half way for refreshments at the little village was perfect. We all really enjoyed it. The change of clothes was a good heads up but we did not actually get that wet. Lots of fun all round. On behalf of the team, thank you for organising a great day out. It was very interesting to see how everyone got on and helped out and for one team member, overcame their fear of water! Many thanks for a great trip on Sunday, it was one of the highlights of our fortnight in Cornwall and you are on our list of must do's for our next visit! Have you been to Encounter Cornwall? Tell us about your experience using the form below.